At LINE-X, we know your equipment is valuable to you. It can be your workhorse or your plaything. Either way, it deserves serious protection every way you use it. That’s why the name LINE-X has become synonymous with toughness. For 20 years our LINE-X STANDARD Spray-On Bedliner has protected over 3 million trucks. 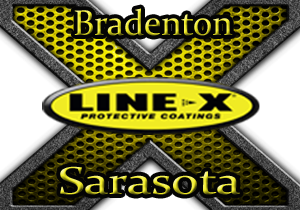 When you’re looking for durability, function and affordability, LINE-X’s proven formula is what you need.